In June 2017, 3.2% of APS employees identified as Aboriginal or Torres Strait Islanders—a rate higher than the general Australian population. A further 3.6% reported they had a disability, and 14.2% came from a Non-English Speaking background. Why is this data important? It is the only way the APS can track our important commitment to fostering and supporting a diverse workforce. ensure initiatives to support the diverse needs of our workforce are targeted and effective. Diversity data is supplied by APS employees on a voluntary basis. 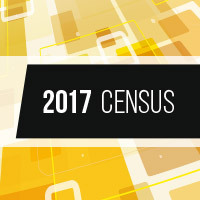 However, the most recent APS Census found that a large number of employees haven’t supplied their diversity information because they have never been asked. We encourage all APS employees to provide their diversity information to agency HR online systems so that we can build a comprehensive picture about who works in the APS.